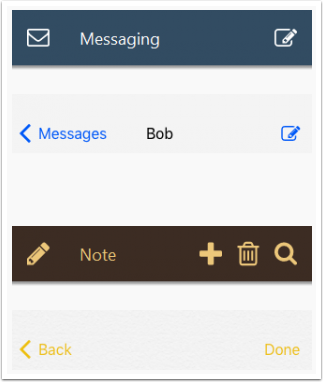 The header bar this is a very common control in mobile apps and this widget will save you time, effort and some of the headaches associated with creating native-looking mobile applications. The LiveCode header bar is based on the iOS Navigation Bar and the Android App Bar. 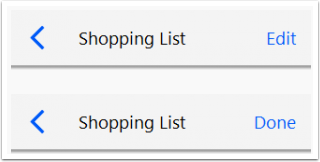 If you are working on Mac a header bar widget will be themed like an iOS Navigation Bar, if you are working on Windows or Linux it will be themed like an Android App Bar. The header bar can be used to allow the user to navigate around your app and take actions, providing a visual structure to your app. Where the navigation bar allows the user to switch between the screens of your app the header bar can allow the user to navigate within a section of the app. 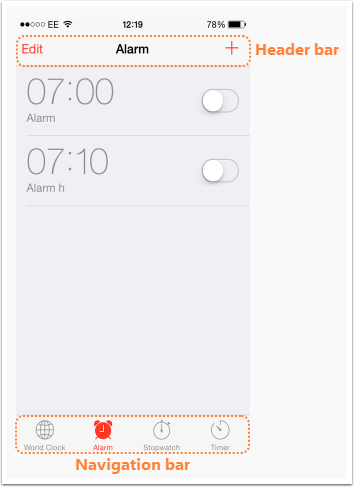 For example in the iOS Clock app the navigation bar widget allows the user to switch between the World Clock, Alarm, Stopwatch and Timer screens but the header bar allows the user to choose to Edit or Add an alarm by navigating to another screen within the Alarm section of the app. As well as navigating around the app the header bar can also be used to provide access to options such as search, save and delete. The header bar gets a mouseUp message when it is clicked on, you handle this message to take the appropriate action for the chosen action. Firstly we get the value of the mouseAction property, which gives us the name of the header action that was just clicked, allowing us to do something different depending of what action was clicked. it is important to remember that the mouseAction property gives you the action name, not the label. Both can be set in the Property Inspector. The Label is the text that is displayed for an action when the Action display style is set to “text”. The Name is the name of the action, as returned by the mouseAction property. The actions displayed in the header bar, and the appearance of the header bar itself, can be controlled using the Property Inspector. The Property Inspector also allows you to set up all the actions that are shown on the header bar, setting the label, icon and highlight icon for each action and allowing you to reorder, add and delete actions. When one of the icons is clicked, a scrollable icon picker is popped up to allow you to choose a new icon. The current selection is highlighted as shown. 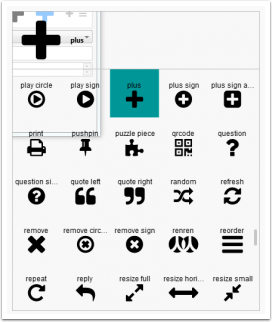 The icon and highlighted icon can be different, to allow further visual feedback about what is currently selected. The colors of the navigation bar are controlled by the foregroundColor, backgroundColor, borderColor, and hiliteColor properties as usual for LiveCode controls. 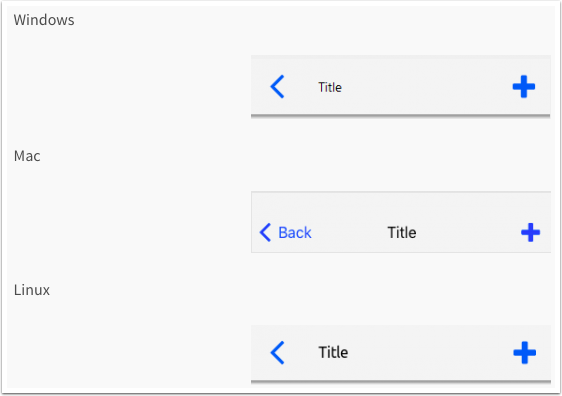 Changing these properties allows you to customise the header bar to fit in with the design of your app. Beyond handling the mouseUp message and using the mouseAction property to act on the selected action the other thing you might want to do with your header is to update it depending on the state of the app. For example if you choose to Edit an item in a list the header options might change to “cancel” and “save”, or similar. 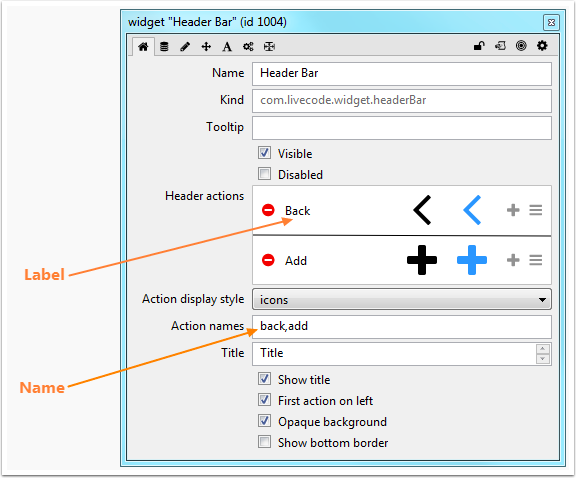 You can change the header actions in script by setting the itemLabels, itemNames, itemIcons or hilitedItemIcons properties of the header bar widget. The values of these properties are comma-delimited lists and can be updated using chunk expressions.